The Cool Word Club (CWC) was founded in 2011 with the singular belief that lots and lots of words in the English language are, well, downright cool! Whether it’s a delicious little word that rolls right off the tongue or a big, oh-so-fancy one that makes people stop in their tracks, these gems of self-expression are to be treasured—and appreciated. Let’s face it: It’s easy to fall into a rut of using the same old words over and over and over again. But there’s a whole world of exciting new ways to express ourselves—if we just take the time to seek out those spectacular, mind-expanding words. Research shows that today’s average teen-ager knows far fewer words than did teen-agers of the 1950s. And not surprisingly, average test scores are declining. Headlines across the country recently reported that the average reading score for high school students was the lowest on record. We can start by giving “vocabulary studies” a makeover. We can make it fun—and dare we say cool–to know more words than we ever imagined possible. That, in essence, is the objective of the Cool Word Club. So give us a try. 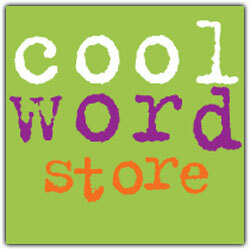 If you find that you’re not having fun while learning and talking about cool words, send us an email. We aim to please all you logophiles-in-the-making!